Performers include: Jaimie Alexander, Sullivan Stapleton, Audrey Esparza, Rob Brown, Marianne Jean-Baptiste, Ukweli Roach, and Ashley Johnson. A high action police mystery/drama Jane Doe (Jaimie Alexander) is found inside a body bag left in Times Square marked for the attention of the FBI. The bag sparks a massive security alert; suspecting a bomb, the agents are shocked to see Jane appear naked, though with complex tattoos covering her entire body. Having no memory and having no records of her existence the tattoos provide the only clues as to Jane’s identity. Supervising Agent Kurt Weller (Sullivan Stapleton) is brought in and is shocked to find his name inked on her back. With his past also somewhat of a mystery the pair quickly form a connection. All the tattoos on her body are new bar one, a navy tattoo. The tattoo, her advanced tactical abilities and language skills leads Weller to believe she may be ex military. Which comes in useful as they happen upon a terrorist plot to bomb New York. Psychologist Dr. Borden (Ukweli Roach) provides support for Jane, although fascinated by this unique case he is sensitive to the trauma suffered by his patient. In contrast FBI Director Bethany Mayfair (Marianne Jean-Baptiste) may be hiding information as to Jane’s identity. Trusting very few people, Weller and Jane must work together to unravel the road map on Jane’s body. What do you think? 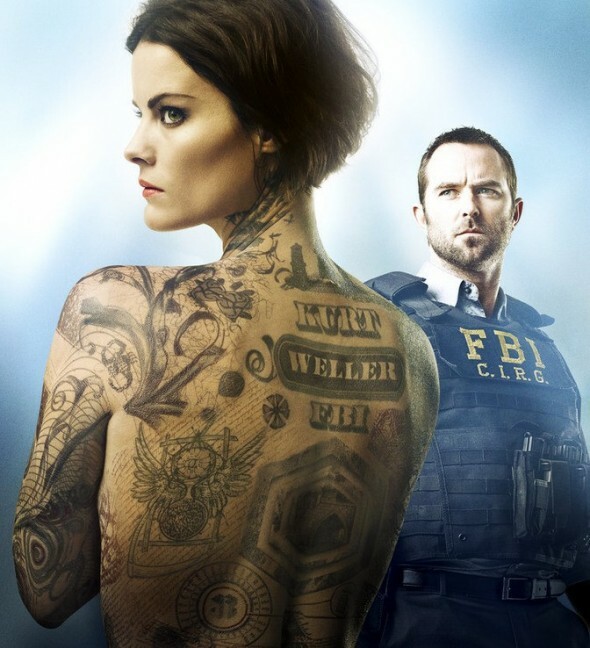 Do you like the Blindspot TV show on NBC? Do you think it should be cancelled or renewed for another season?